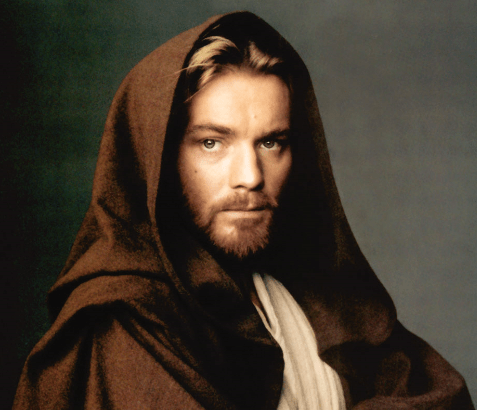 In giving his life for Luke and appearing after death, Obi-Wan Kenobi clearly fits the role of a Christ figure. But, let’s dive deeper than that and learn from Obi-Wan’s 19 years on Tatooine. While minimizing spoilers from Star Wars Comic #7 and Star Wars Rebels: “Twin Suns”, we can see how his—dare I say—temptation in the desert enables him to give his life so easily. At the same time, this does not help him discover a critical fallacy in his Jedi faith. He could not solve every problem or help every person, but he knew he must focus on protecting Luke and learn to commune with Qui-Gon, so that he too could speak to the living when he dies. While difficult, he learns focus through practice. Fast forward to a couple years prior to the Battle of Yavin, a young Jedi named Ezra Bridger must learn to know his role as well. Obsessed with defeating the Sith, Ezra foolishly trusts Maul, and to learn how, he seeks a Force vision with Maul, ultimately seeing an image of twin suns and Obi-Wan Kenobi. The message strikes the audience: it is not Ezra’s role to defeat the Sith. The will of the Force gave that to another. Ezra learns slowly at times, but he does learn. © Lucasfilm, Ltd. 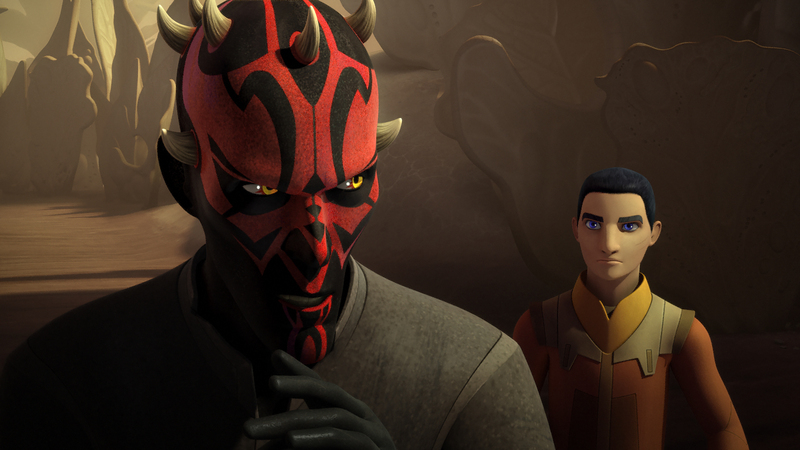 In Star Wars Rebels: “Twin Suns”, Ezra grows concerned that Maul will find and kill Obi-Wan. Despite the fact that he had other important responsibilities in the fledgling Rebellion, he leaves to warn Obi-Wan, which actually leads Maul straight to him. 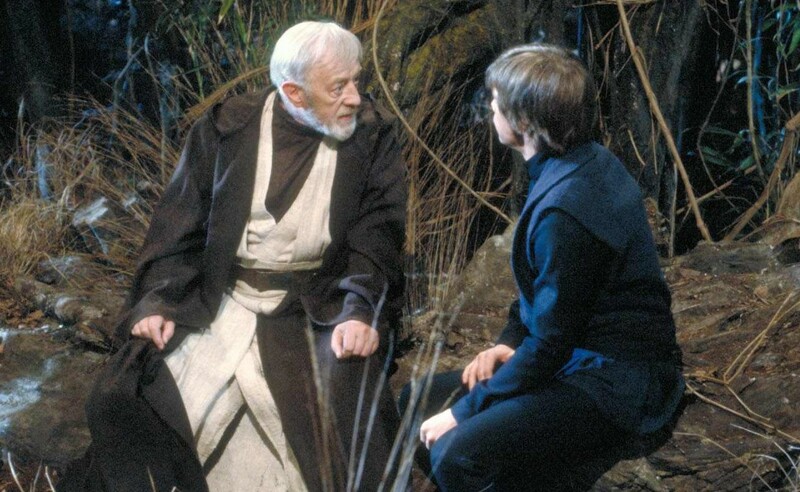 As Obi-Wan explains to Ezra that he should not have come, we see the wisdom of the Jedi Master painfully learned over two decades juxtaposed with the novice who still fancies himself as the needed hero: know your role and be at peace with it. Jeopardizing his mission to protect Luke by seeking out and saving Ezra from a harsh Tatooine sandstorm, Obi-Wan walks in balance, which leads us to our first similarity between him and Jesus. When we look at Jesus’s life and teaching, we see that He too knew his purpose, and while remaining committed to it, he also made time to meet present needs. Obi-Wan’s disciplined focus on his mission prepares him for the events of Star Wars: A New Hope. He makes daily choices to do what is best for Luke. In other words, he could sacrifice his life for Luke aboard the Death Star so easily and peacefully because he had already sacrificed his life for 19 years. Also, he could give his life easily because he knows there is life after death. In this way too, Obi-Wan’s and Jesus’s spirituality agree and facilitate a life of service and sacrifice. There is no question. Obi-Wan is incredibly mature and selfless. Way more than I am. So, how can I find fault? It may seem like I’m being picky, but if Luke followed Obi-Wan’s council to kill Darth Vader, the results would have been disastrous. Whether he failed or succeeded, Darth Vader would have remained fallen, the Emperor would continue to reign, and a Skywalker would likely be Palpatine’s apprentice. Thankfully, Luke believed that his father could be redeemed, which led to Vader’s transformation and victory for the Rebellion. Think about it. The Jedi find very young children to train, and they pass on older children because they are considered too damaged. These actions rest on the premise that people start either good or neutral, but quickly become corrupted. Jesus, however, runs to the broken. When asked why he spends time with those shunned by society, Jesus says, “It is not the healthy who need a doctor, but the sick. I have not come to call the righteous, but sinners” (Mark 2:17). He knows we are all damaged, prone to our self-centered desires rather than God’s. And He seeks us out. More than that, Jesus even sacrifices Himself for us. As Paul, an early follower of Jesus, explains, “Very rarely will anyone die for a righteous person, though for a good person someone might possibly dare to die. But God demonstrates his own love for us in this: While we were still sinners, Christ died for us.” (Romans 5:7,8). To make an important distinction, I’m not saying that Obi-Wan cannot forgive. He clearly forgives Maul and even has compassion for him. Hence, he avoids fighting him, lest he would have to kill him. That said, he still never believed that Maul could change. So, let’s be like Obi-Wan. Like Obi-Wan trusts the Force and Jesus trusts His Father, we too can trust that we have been given an important role. We must seek it and find it, knowing that it might appear mundane (and it might not.) Then, we can remain committed to our calling and focused on it, while also walking in balance and availing ourselves to present needs. And let’s not be like Obi-Wan. We can start by honestly looking at our lives and decide if we need forgiveness and change. If this leads to shame or guilt, we know that Jesus does not want us to dwell there, but would rather us focus on His love for us, His sacrificial act, and His forgiveness. “If we confess our sins, he is faithful and just and will forgive us our sins and purify us from all unrighteousness” (1 John 1:9). Then let’s believe that others can find redemption too, and we can point people to the One who offers it.